Her smile will light up a room while wearing this adorable Stella McCartney Kids™ Toucan Patch Dress with Detachable Wings. Sleeveless with detachable, snap "wings". Toucan embroidery across the front. Color block tulle skirt with straight hemline. 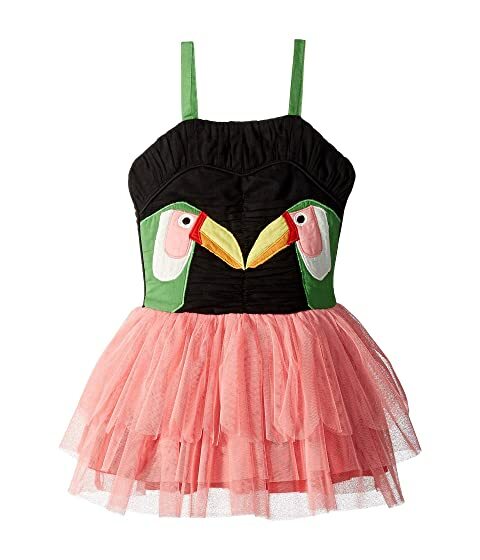 We can't currently find any similar items for the Toucan Patch Dress with Detachable Wings (Toddler/Little Kids/Big Kids) by Stella McCartney Kids. Sorry!